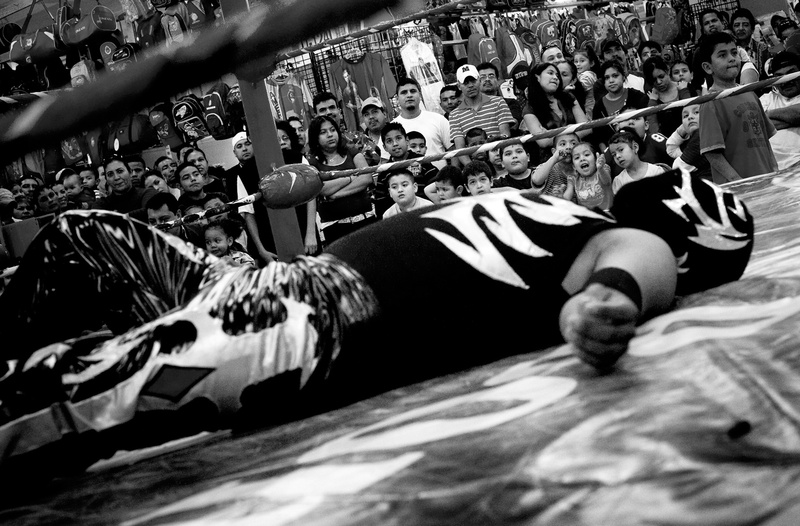 Brandon Thibodeaux -- (Irving, TX - 02.01.2009) -- A crowd gathers around the Lucha Libre wrestling ring inside the Irving Bazaar, in Irving, TX, on Sunday, February 01, 2009. The wrestling matches are a staple in the Sunday afternoon lineup for entertainment at the Irving Bazaar. What once was a Wal Mart, has come to be known as "little Mexico" due to the high number of Hispanic attendants that frequent it's shops and restaurants on the weekends.